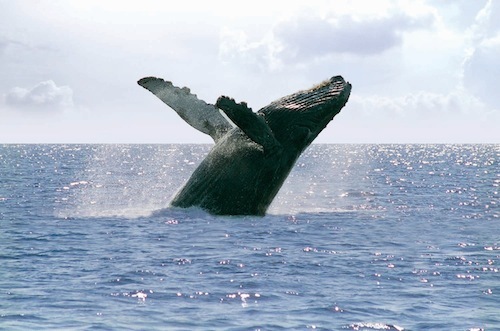 Every year the humpback whales choose the Riviera Nayarit for a little R&R. They generally arrive towards the end of October, led by the “explorer,” a mature male that appears a few weeks before the rest of the pod to scope out the area, emitting a series of complex sounds that can be heard by the other whales hundreds if not thousands of miles away. The official whale-sighting season is signaled by SEMARNAT; this year it runs from December through March. The species has been protected by the International Whaling Commission since 1966. The adult females can be anywhere from 15 to 19 meters in length, maximum; the adult males measure anywhere from 14 meters to a maximum of 17.5 meters. They can weight up to 30 or 40 tons—sometimes even reaching the maximum of 53 tons—and their pectoral fins can be up to 5 meters in length. The humpback whales arrive to reproduce and give birth, a worthy spectacle for any visitor! The males compete for the females, swimming in fast moving groups of 3 to 15, jostling for position to be the chosen one. For the most part, the winter season is filled with rivalries and extravagant behavior, including breaching, lunging, lob tailing, slapping and acrobatic peduncle throws. Mating occurs during the wintertime as well; the gestational period can last anywhere from 10 to 12 months and the calves are fed by their mothers from 6 to 11 months of age. The whales have an average of one offspring every two years. The Riviera Nayarit has the luxury of hosting these amazing mammals—just one more reason to spend quality time with friends and family. It’s a unique experience to be able to share the same space as these animals with both respect and mutual admiration. We invite you to help look after and preserve the beauty of Nayarit, and to experience unforgettable moments in Mexico’s Pacific Treasure.